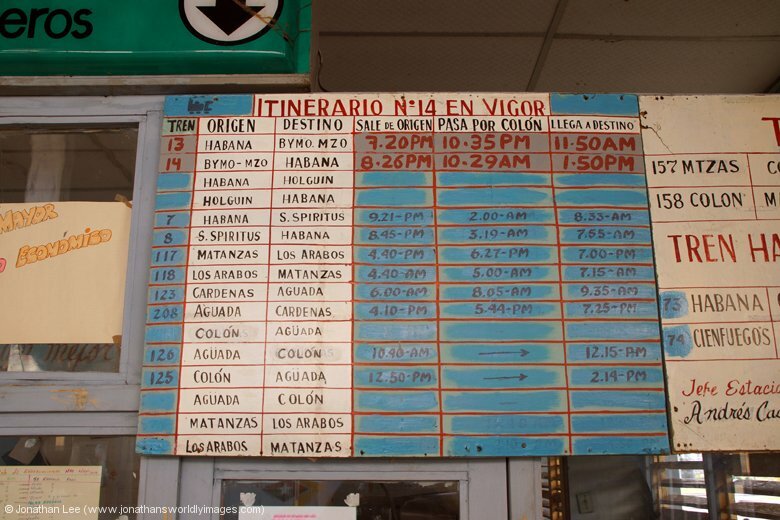 Cuba is a difficult place to get around, especially when off the beaten track and even more so at night when road transport is generally not used. We were told by a taxi driver that this is generally beacuse of the dangers the open roads offer at night. The cattle roaming round being the biggest problem and if their cars are damaged and/or written off, their only income is out of thew window; hence nobody drives between the big towns at night. 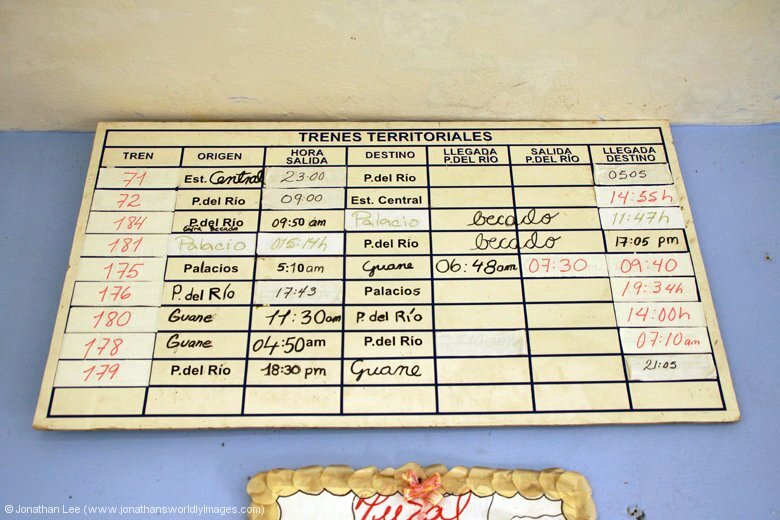 Ferrocarilles de Cuba (FCC) run the national rail system, their services are not generally run on a daily basis and their days of operation is not advertised anywhere. 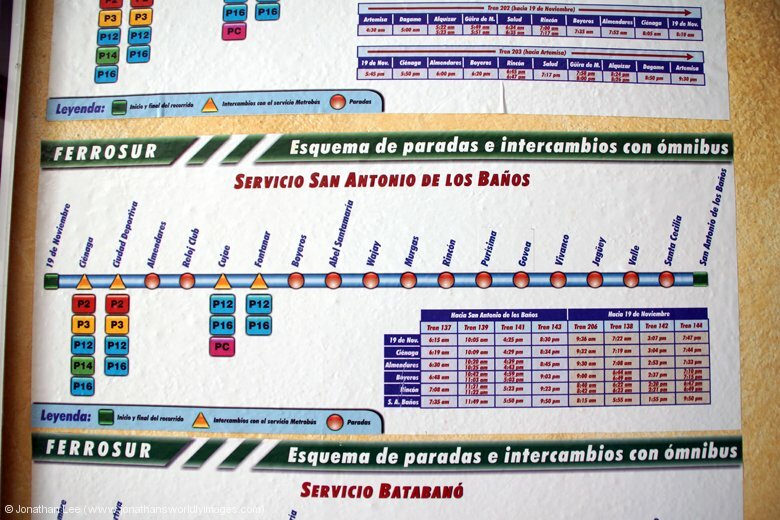 Timetables are not available online but both Farhplancenter & Seat61 have timetables listed but they are not forced to be up to date and are only as good as the date they were posted. 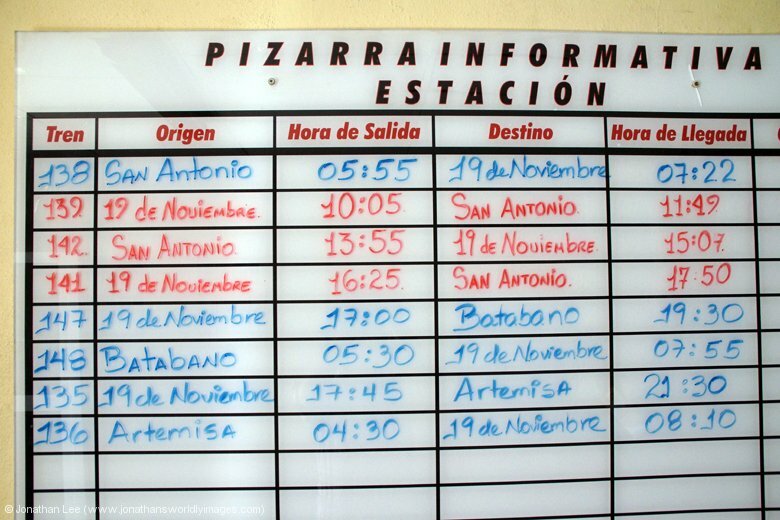 The only way, generally, of finding out which day trains from Havana, Santiago de Cuba, Cienfuegos, Guantanamo, Pinar Del Rio, etc run is by asking at the railway stations. 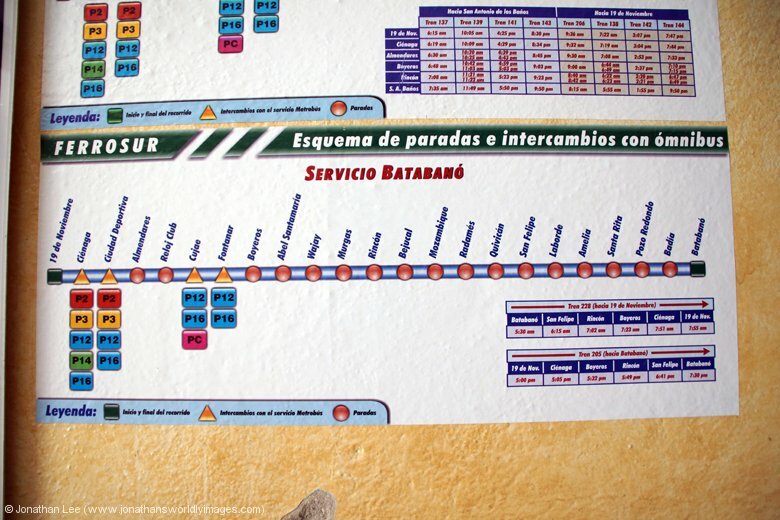 Train tickets for the main line trains, basically everything but the Havana – Pinar Del Rio train, are bought from La Coubre station, round the corner from Havana Central. 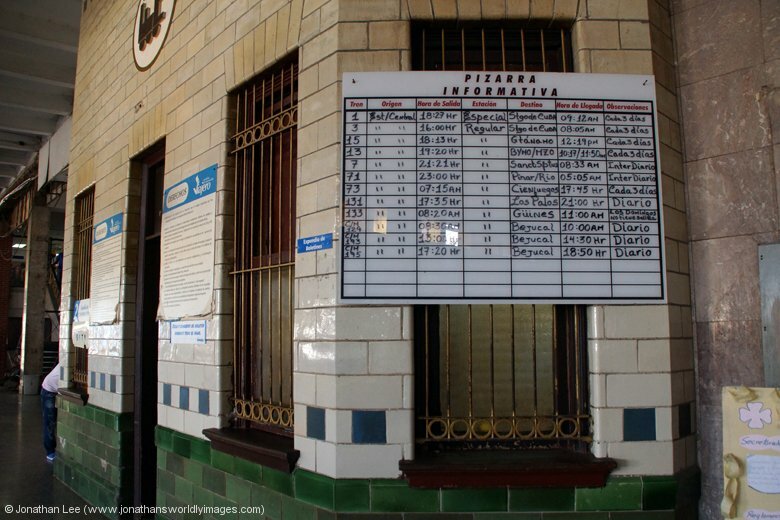 As the Pinar Del Rio train is classed as a local train, tickets for this are sold at Havana Central booking office. 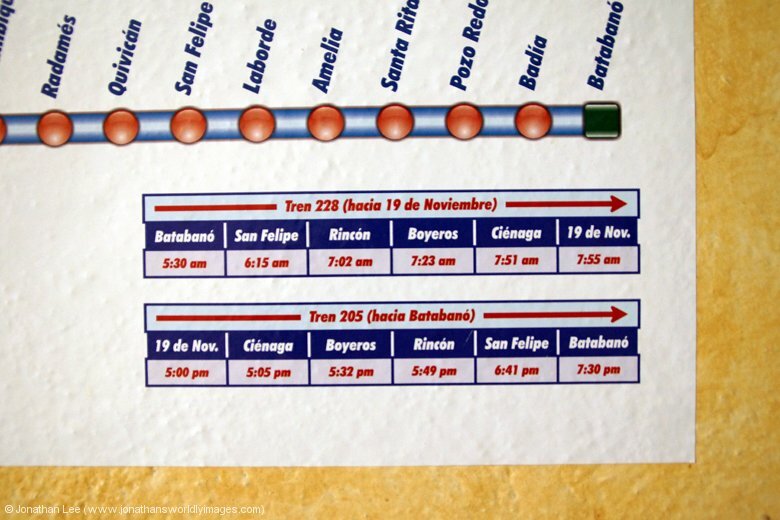 The window opens 2 hours before departure and is the window immediately below, and one to the left, of the departure board displayed at the station. 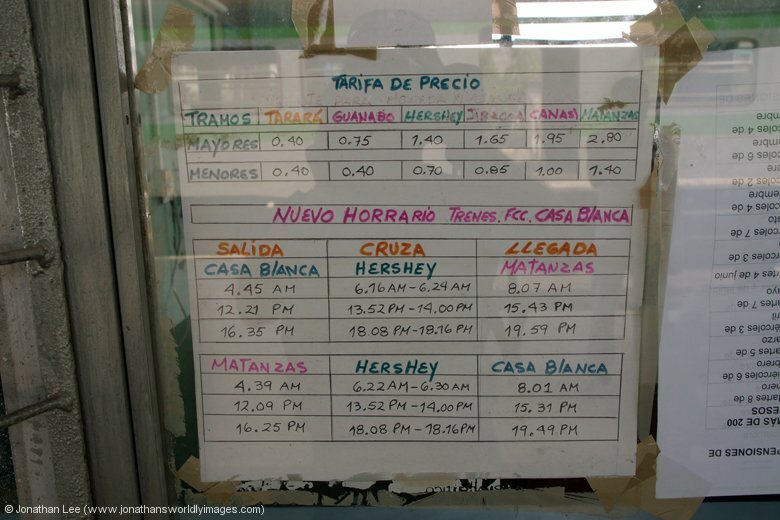 The Hershey Railway runs from Casablanca (Havana) to Matanzas (plus a few branch lines). It is a very antiquainted, electrified system and its reliability is questionable. 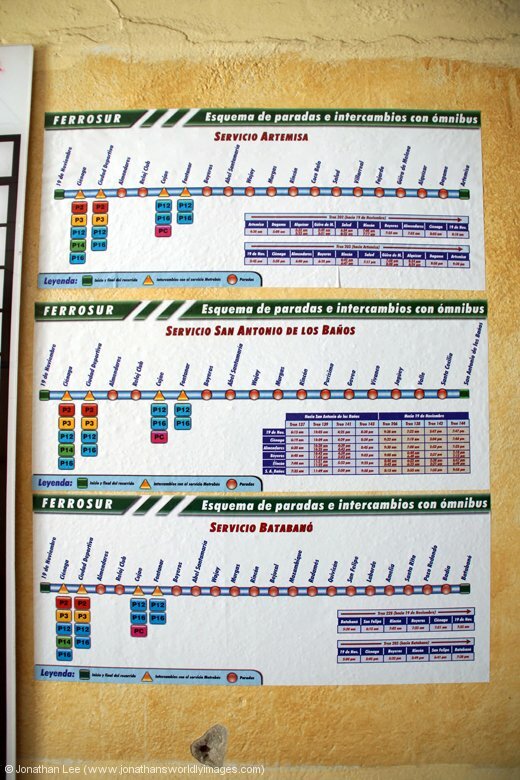 It uses old EMU cars it inherited from Barcelona in Spain. 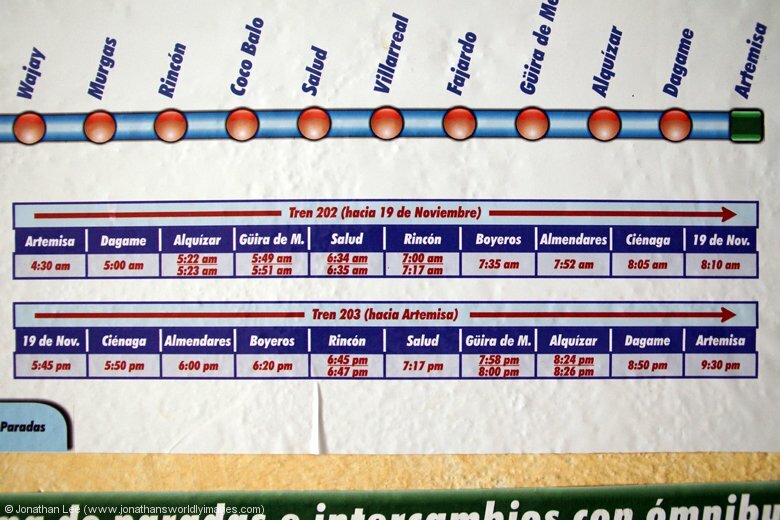 We turned up for the 1221 from Casablanca to find it cancelled but the 1635 service ran on time all the way and was early into Matanzas. This railway is worth travelling on just for the sheer novelty of it. 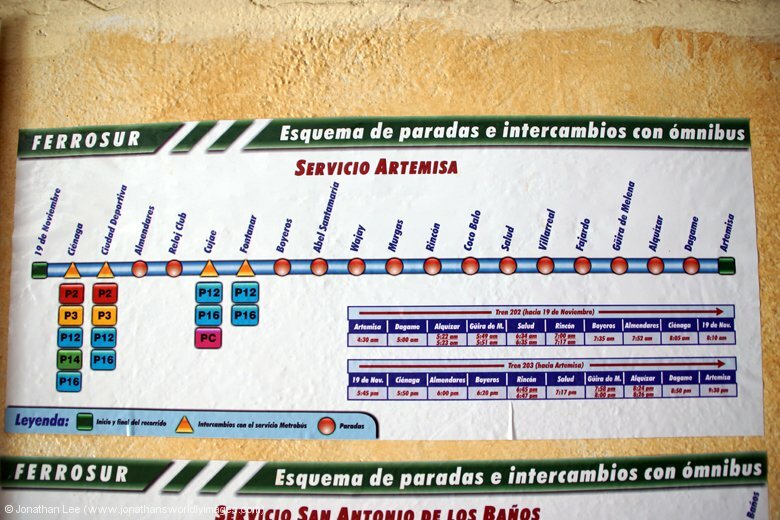 Photographs of station departures are shown below. All were taken in May 2013. 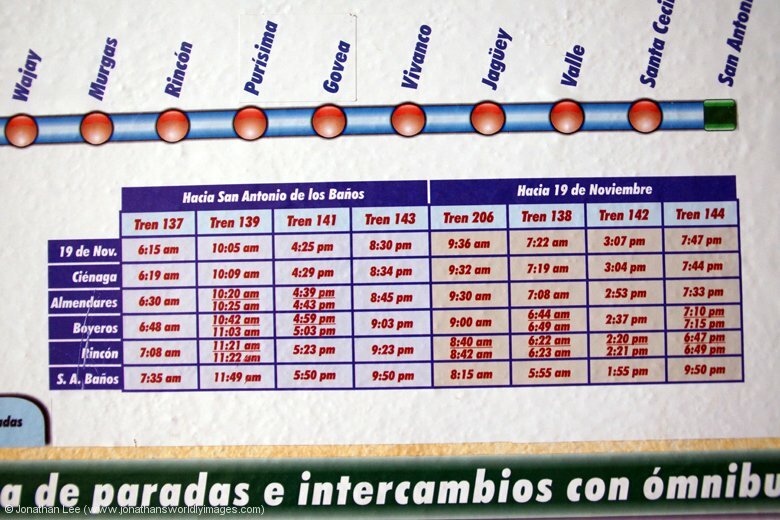 As an alternative to the train travel Viazul run long distance air-conditioned buses, mainly aimed at tourists, between the places that tourists frequent. 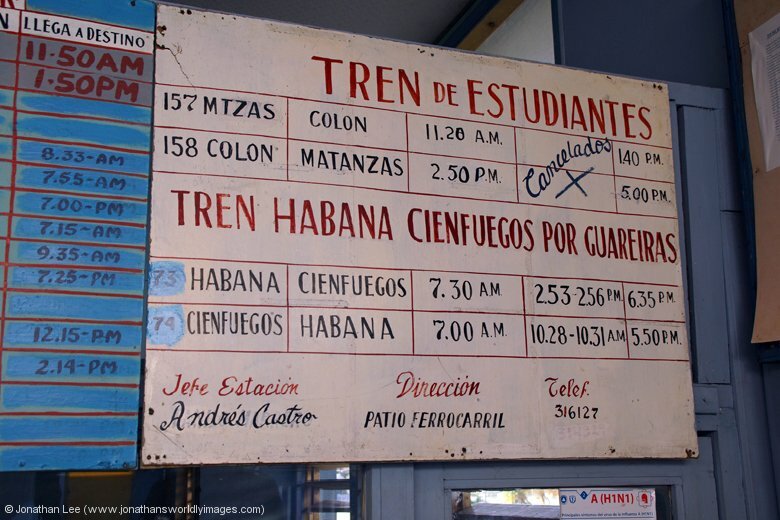 My experiences of them, from Pinar Del Rio to Havana & Matanzas to Havana, were both ok. The buses were on time and not full. 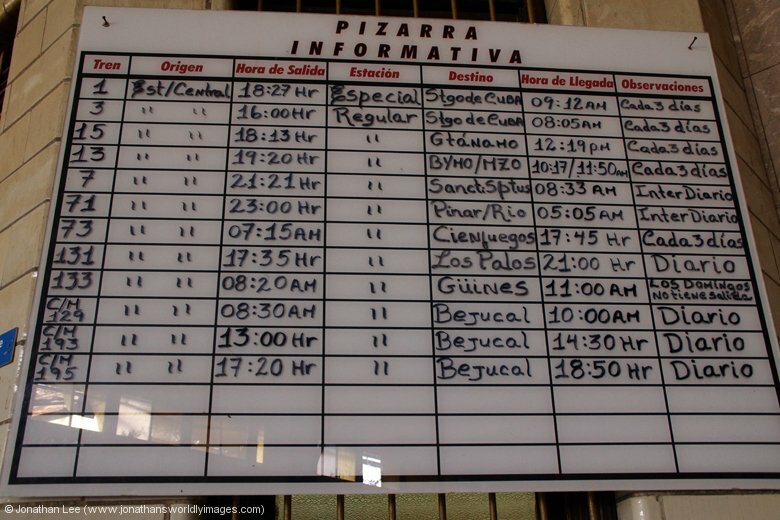 The only gripe I had was the fact that we couldn’t buy tickets at either Pinar Del Rio or Matanzas and had to get them from the bus driver in the end. Whether this was due to it being off season or not I don’t know. 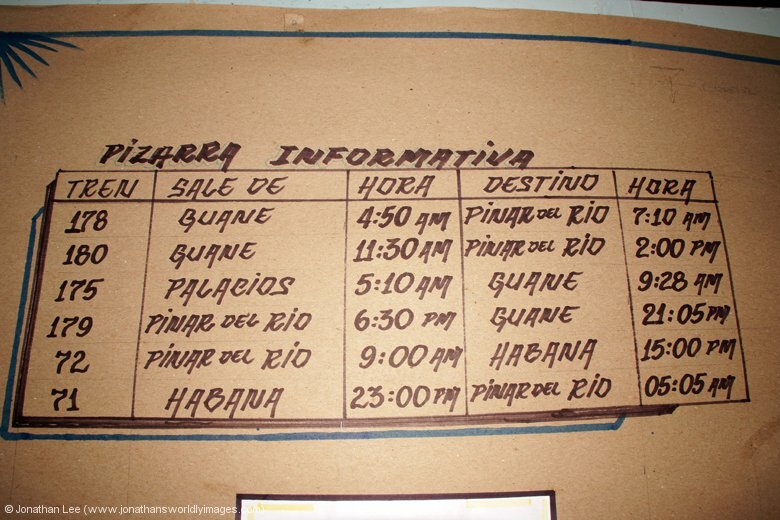 Viazul timetbales and fares are available on their website.